I am relocating and it is not to a neighbouring community or across to the other side of town but across the country. I am now knee deep in the daunting process of purging and packing. As well, I am trying to secure a new apartment and so far I haven’t found the ideal space. To further complicate my situation, I love my current apartment – its the right size, has a great lay out, super neighbours and to top it off I have a good size studio set up in the back garage. I would love to be able to pick up my apartment and studio and relocate it across the country. It would make my life so much easier and it would be less stressful and in the sixties my idea of relocation was not as far fetched as it sounds. 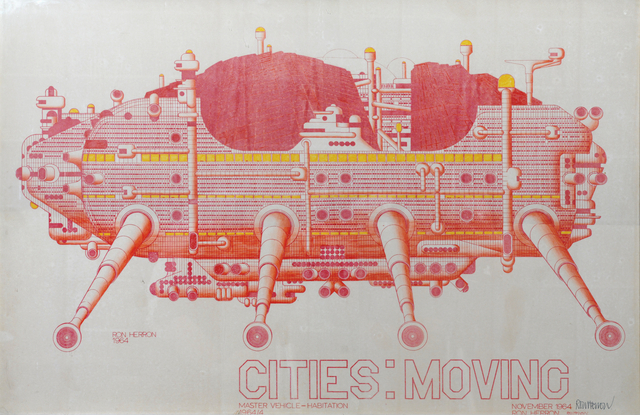 Archigram, a collaboration of six British architects who were known for their visionary architecture, conceived of capsule and pod living for the main purpose of easy relocation. They believed that with technological advancement people would be required and would desire to move around the globe for work and leisure. 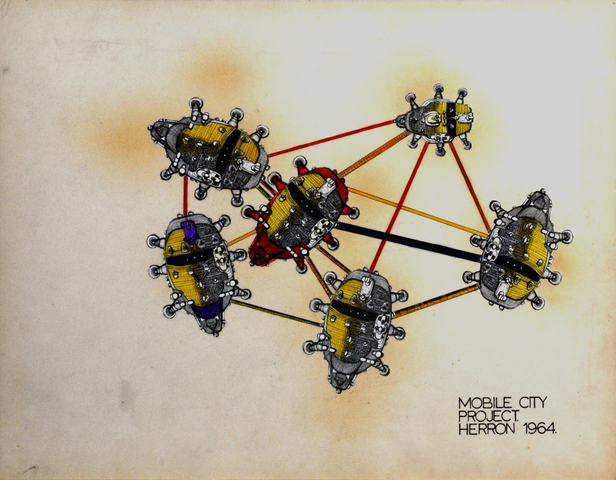 Unfortunately, nothing was built but it is inspiring to see the innovative solutions that Archigram came up with. Archigram was prolific with their ideas and concepts. Four well known projects that I would like to talk about are Plug-In City, Living Pod, Walking City and Capsule Tower which all encompassed the notion mobility or easy movability. The Plug-in City was seen as a total project that was worked upon between 1962 and 1964. The Metal Cabin Housing was a type of capsule prototype that was could be removed and relocated on different concrete ‘megastructures’ that could be located in different cities and countries. The Plug-in City was a large-scale network-structure that contained access ways and services to any terrain. The Capsule Tower was a prefabricated dwelling based on the space capsule. The parts would be individually tailored and able to be updated as technology advanced this was similar to the Metabolist’s Nakagin Capsule Tower (which I have written about in this post). 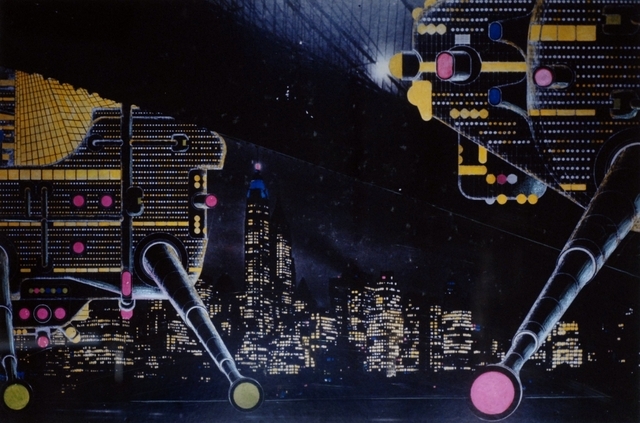 The Plug-in City was simultaneously being developed and while both projects remained quite separate it soon became obvious that the capsule dwelling would be a preferred type of structure for the Plug-in City. The Living Pod was a proposal for a high-rise stacking structure. Primary access to the pods was through a programmable hydraulic service arm that connected each pod directly into the underground transit system. David Greene, conceived of the Living Pod and compared it to a ‘high-rise campsite’ because he saw the apartments either being used for a short period of time or were relocated as the inhabitants moved on. And finally the Walking City was a proposal for a nomadic city where the infrastructure and urban utilities would not be tied to a specific location. Walking City anticipated the urban lifestyle of a technologically advanced society in which permanent location was not necessary or even desired. The structures were conceived to plug into utilities and information networks at different locations to support the needs and desires of the inhabitants. ← Do Maps Create or Represent Reality? 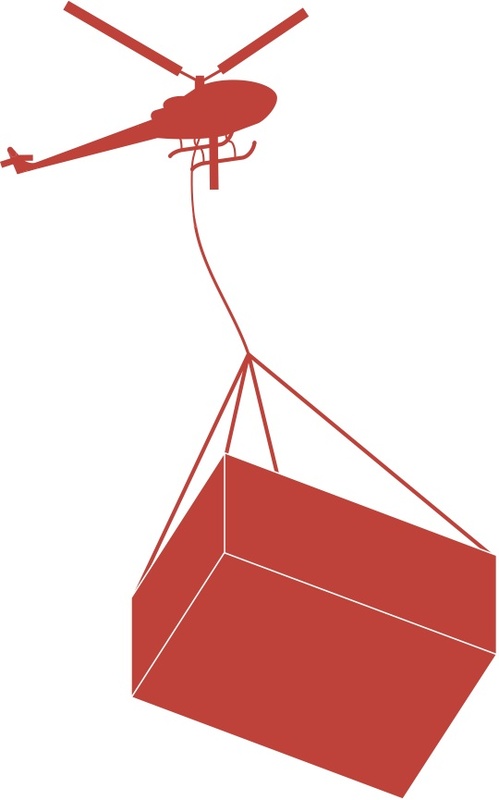 With the intensity of urban migration in both upwardly mobile types and the urban poor – both looking for beer futures – maybe this old idea has found its time? I think you are right. With architecture breaking ‘new height’ records every couple of years and the innovation in sustainable and green architecture it does make sense to incorporate mobility into structures. Wow — the Walking City is an amazing concept — one of those visions of a possible future that failed to take into consideration the immense value of nostalgia. I dig your blog! Thanks for following mine. I will read more thoroughly in the future, and am looking forward to offering comments on your observations and work! Good luck with your move, wherever that new city may be.